June 2015 | Oh Sarah O ! Did you all watch the Game of Thrones season 5 finale? My initial reaction to the episode was thinking "this episode is surely going to piss off a lot of people." After watching the episode, I discovered a hilarious video that was made for Red Nose Day US where Coldplay attempts to create a musical version of Game of Thrones. Highlights include Kit Harington singing his own version of "Wild Thing" and Emilia Clarke singing reggae. It's the perfect thing to cure your post-Game of Thrones woes. 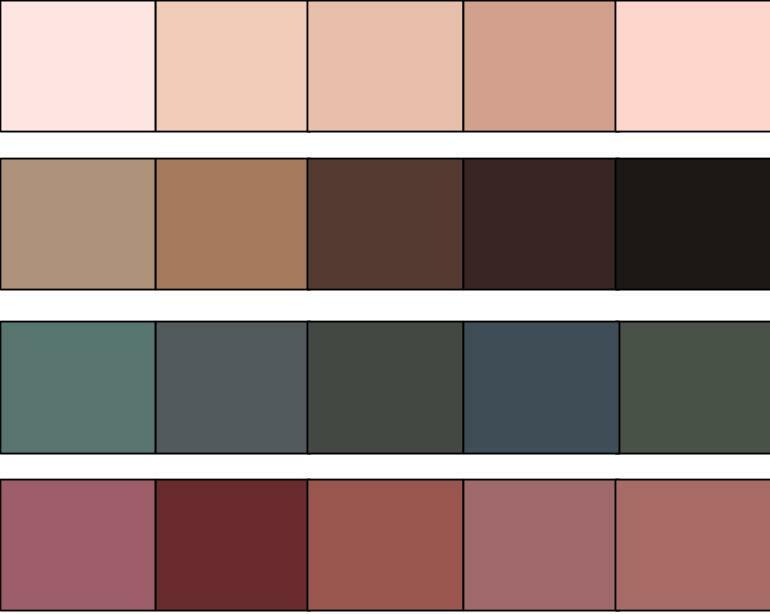 Last year when I participated in the Wardrobe Architect series by Colette Patterns, I created a color palette for myself based off of the system of seasons. 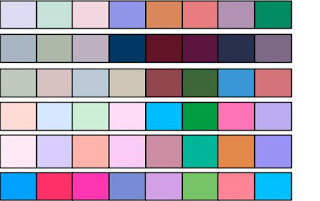 This year I decided to shake things up by using technology to find what colors work best for me (as seen on the Coletterie blog and in Seamwork magazine). First I found some pictures of myself taken in natural light and uploaded them into Adobe Photoshop and I took values of for my skin, hair, eyes and lips. I grabbed 20 values overall. Next, I used Adobe Color CC and plugged in my values to find complementary colors that harmonize with my own tones and values. After eliminating some of the duplicates, I ended up with 48 different colors. What I found most surprising about this exercise is that several shades of green turned up (a color that I rarely wear) and that most of my complementary colors are pastel. 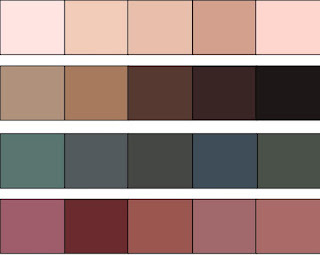 I'll be using this new palette as a jumping-off point for creating my perfect 2015 wardrobe. Hello everybody and Happy Father's Day to all of the dads out there! This week a few funny father's day videos started circulating online and I thought I would share them with you. First up is Matt Berry Does Father's Day from the BBC. It's not quite as funny as Matt Berry's Wild Love or Matt Berry Does the Boat Race, but if you enjoyed those, you'll enjoy this too. Warning: This video contains naughty language and rude humor. Next is a video by Screen Junkies which features a Father's Day tribute to Jerry McGuire by a (now grown-up) Jonathan Lipnicki. It totally makes me want to re-watch the film. In May my reading was bookmarked by Roald Dahl books. Esio Trot by Roald Dahl/ I really enjoyed the Esio Trot film that aired on BBC 1 on New Year's Day, so I thought I'd see how the film compared to the book. Like The Fantastic Mr. Fox, the filmmakers took a few artistic liberties with the story to extend the short story into a full length film which I enjoyed. Overall, I much prefer the film to the book. 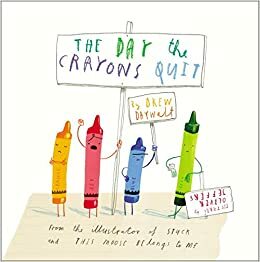 The Day the Crayons Quit by Drew Daywalt/ Have you ever wondered what your crayons from your childhood Crayola box would say if they could talk? After reading some great reviews, I decided to visit the children's section of my library and check out this book so that I could find out. It's a delightful read for a creative kid (or adult). 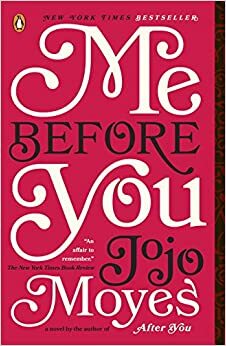 Me Before You by Jojo Moyes/ My husband and I wanted to listen to a book together on Audible and this book had good reviews and was recommended on the site. This story follows Luisa, a woman in her mid to late twenties who hasn't quite figured out her path in life, but when she finds herself out of a job, she decides to take a job as a carer for a man who's a quadriplegic. Even though it's kind of a romance, my husband and I loved this book! This was probably my favorite read of the month. 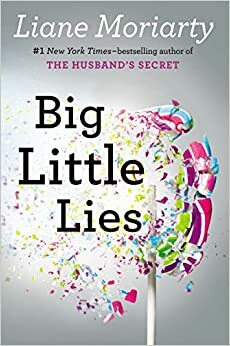 Big Little Lies by Liane Moriarty/ This is another book that frequently appeared on several 2015 summer reading lists, so I decided to check it out. This book follows the story of 4 women with children entering kindergarten whose small fibs snowball into a big dramatic event. I must say, that this was not my favorite read of the month, as it felt like I was reading the story-line for an episode of Desperate Housewives. 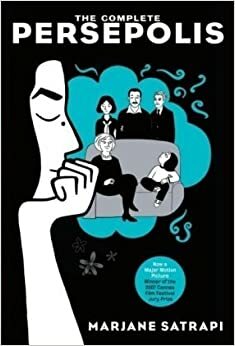 The Complete Persepolis by Marjane Satrapi/ I love graphic novels and I saw the film version of Persepolis when it came out and also enjoyed it, but surprisingly I had never read the graphic novel that the film was based on. It was a great read and I felt like I could relate to Marjane in the book and learned more than I did from the film. 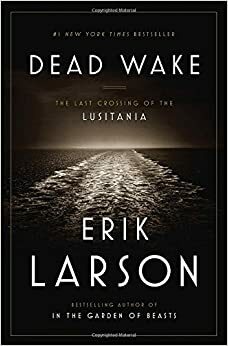 Dead Wake by Erik Larson/ This book was also recommended on Audible, so my husband and I began listening to it around the time of the 100th anniversary of the sinking of the Lusitania. It was interesting to learn about this bit of history in greater detail and it made me want to re-think ever going on a cruise for vacation. 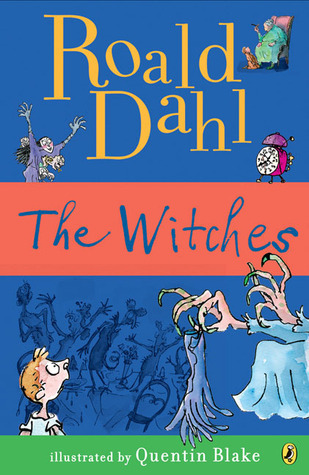 The Witches by Roald Dahl/ When I was researching Roald Dahl books, this book was one of the most highly reviewed. This was a fun, quick read and a great way to end my month. Side Note: I just discovered that The Witches was made into a film in 1990 starring Anjelica Huston. MUST WATCH! What are you reading? Have you read any of these books? Let me know in the comments below. This week I took myself on a date to see the movie Spy and I am so glad that I did! This movie was hilarious! Melissa McCarthy plays Susan, a desk bound CIA agent who assists Jude Law's character in the field. But when Jude Law disappears and the other agent's identities become compromised, it's up to Susan to catch the bad guys. One of my favorite things about the film, is that it is the Hollywood debut for one of my favorite British comedians, Miranda Hart. So, if you haven't seen this film already, check it out at your local movie theater. You'll be in for a treat!